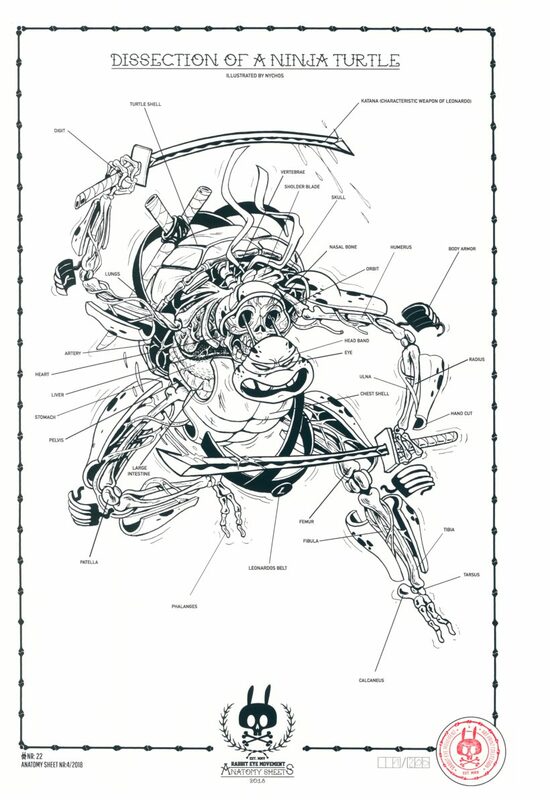 In the Anatomy Sheets 2018, it’s all about our childhood heroes! Two years ago, we released the first series and introduced you to the world of Nychos’ art work. 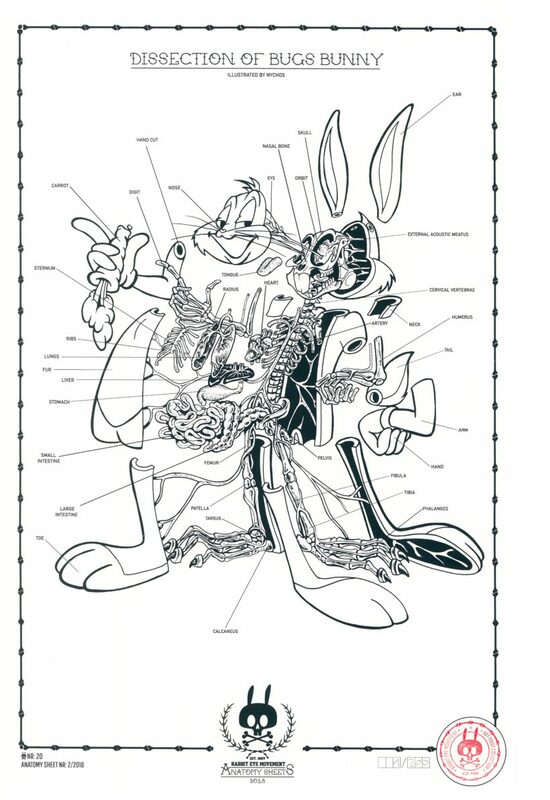 The Anatomy Sheets 2016 narrated the merging of the three forces: The inward urge, represented by the Rabbit, the slicing skills of the Raptor’s claw and the artistic mind, embodied by the Human. 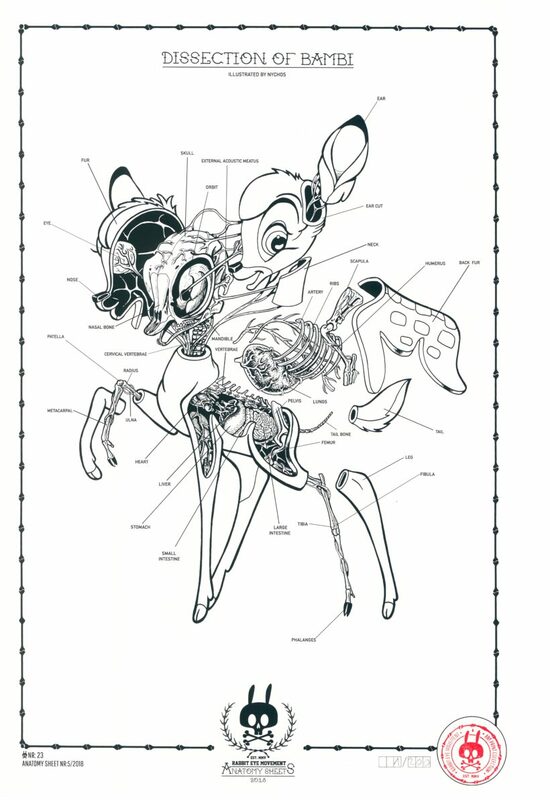 The Anatomy Sheets 2017 revealed the accurate anatomy of eight selected animals. Some of them chose him – like the wild boar or the rabbit. Others, he chose by himself – like the panther or the T-Rex. In the third series of our Rabbit Eye Movement Anatomy Sheets you are going to witness the gripping encounter of virtuosity, curiosity and imagination. 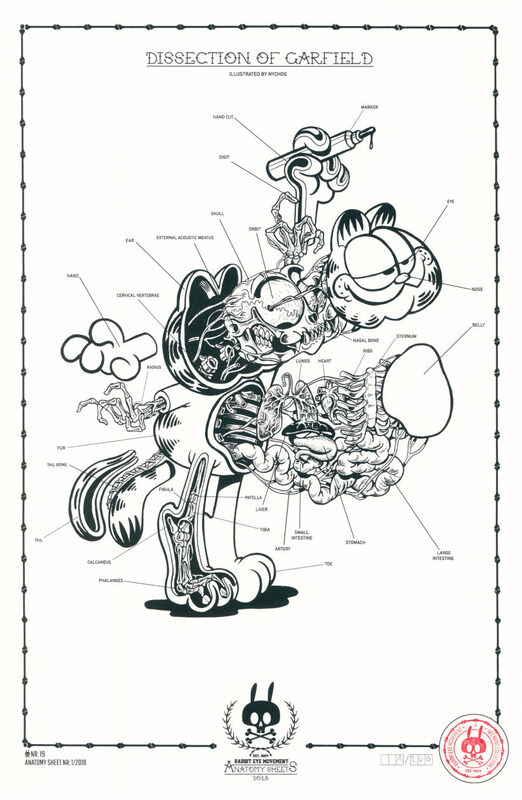 The deep anatomical knowledge has been applied to the everlasting fantasies about our favorite Cartoon Characters. 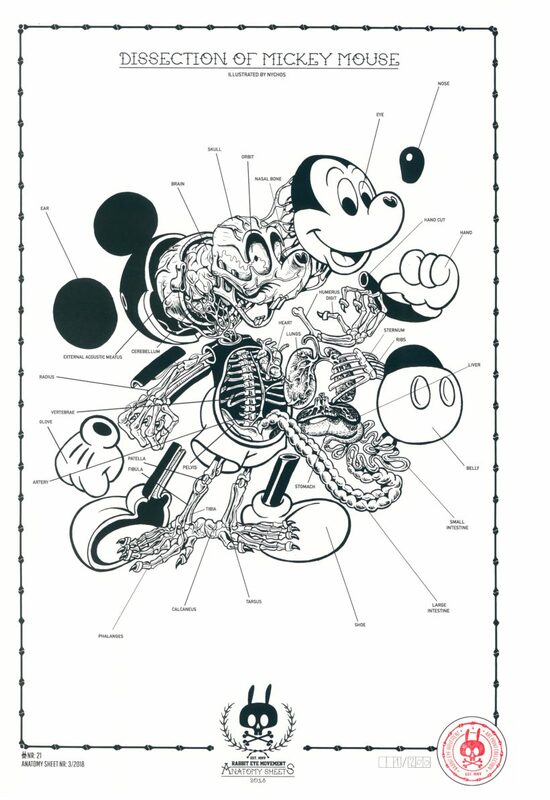 Nychos reveals what lies beneath their surfaces and gets to the bottom of their anatomical structures. The first two sheets are already out. The next ones are going to be released in a monthly cycle, so make sure you check our European Online Shop (shipping worldwide) and our U.S. Online Shop every once in a while. Stay tuned!